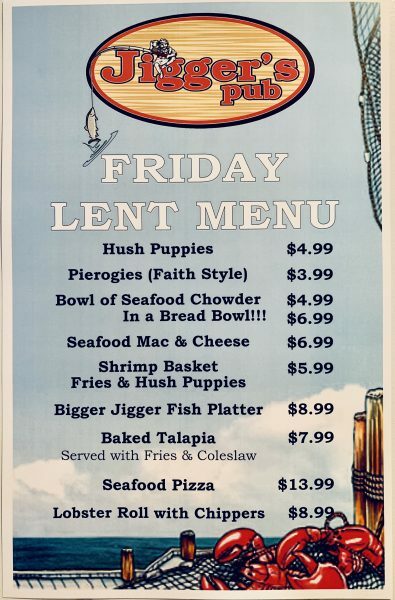 Served every Friday through Lent! Eat in, or take out! 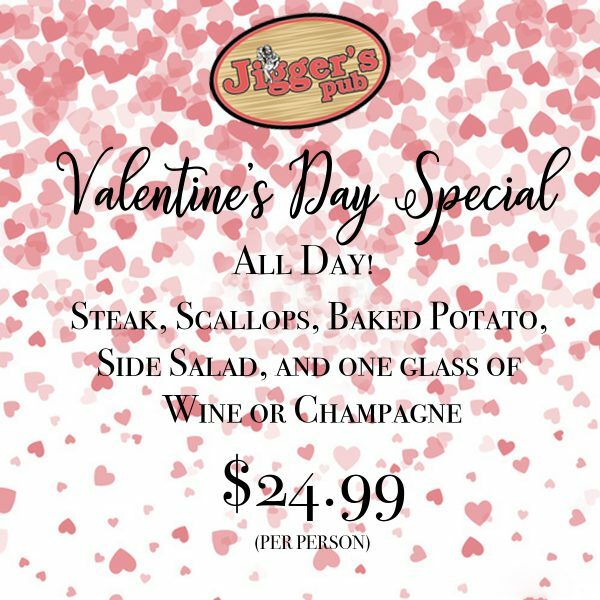 Bring that special someone and share a homemade meal this Valentine’s Day! 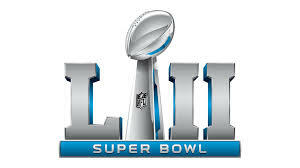 Hosting or attending a party for the big game this weekend? Let us take care of the food! Starting now, we’re taking limited preorders for Sunday! 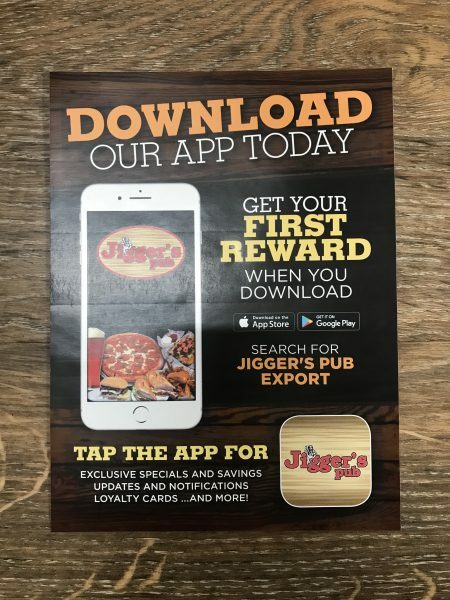 Call in with your order anytime during business hours to secure your spot! We will be closed ALL DAY on Monday January 21, 2019 for our Employee Christmas Party. Normal hours will return with opening on Tuesday. 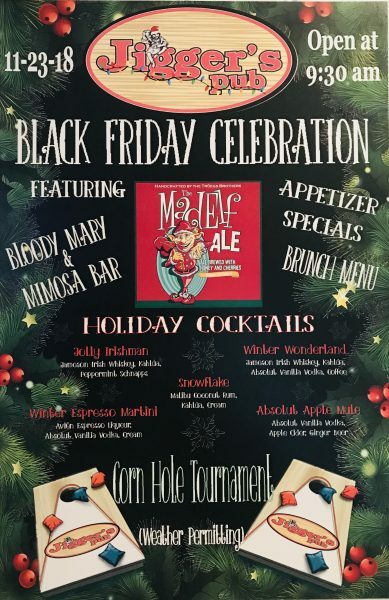 Break out your favorite Ugly Sweater and join in the fun of our Christmas Celebration! 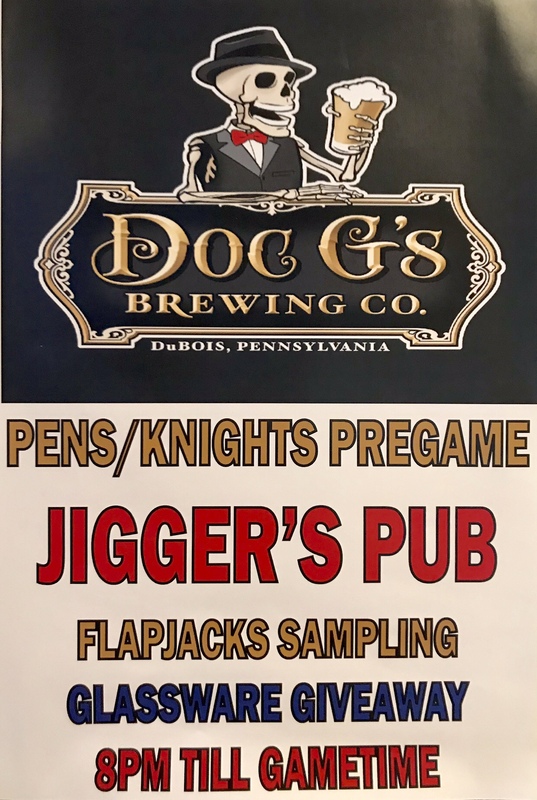 SUPER BOWL SUNDAY AT JIGGER’S! 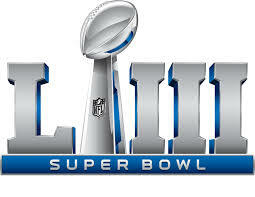 SPECIALS FOR SUPER BOWL SUNDAY! $5 ALL Domestic Pitchers ALL DAY!!!! We’re bringing out our Wing Ding Special during the game! Wing Dings are only $.60 from 6pm- 11pm! 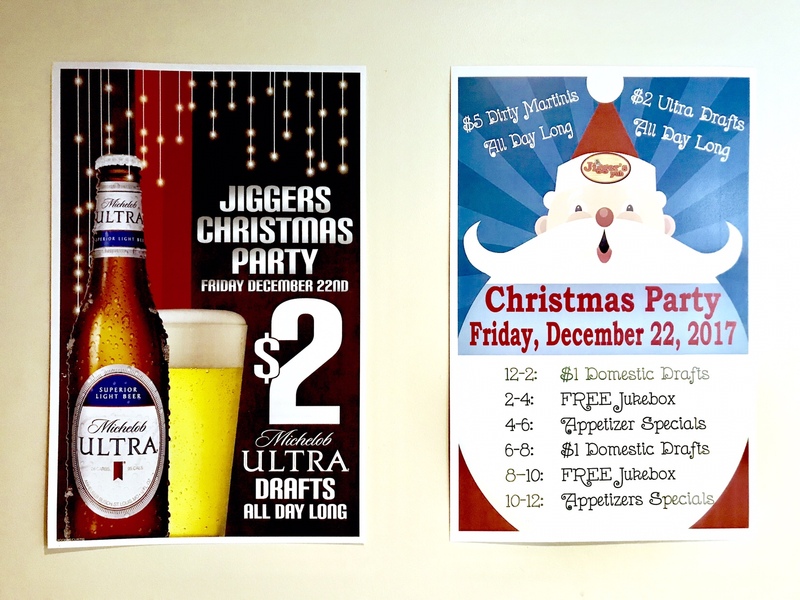 We’re running great specials all day long to celebrate Christmas! 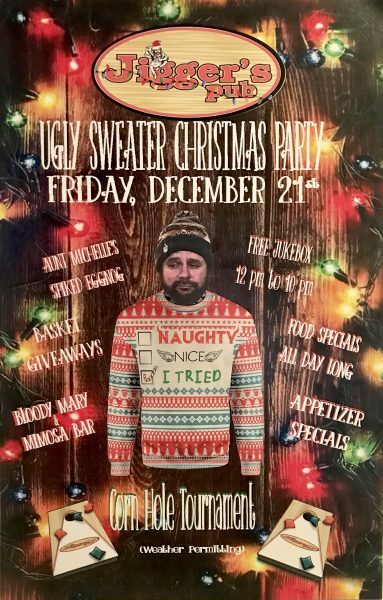 Throw on your favorite ugly sweater and come party with us!